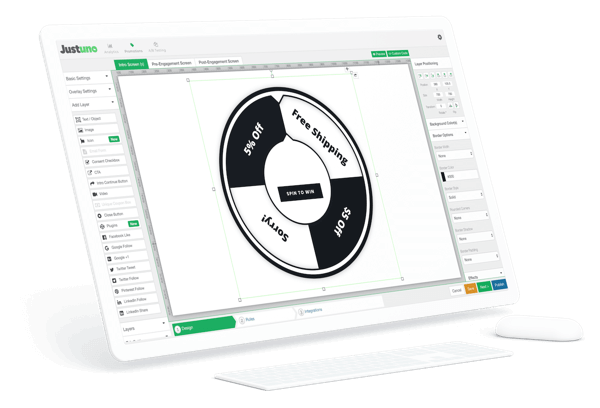 Easily create beautiful brand experiences from our drag-and-drop design canvas. Start with a pre-built template or stay on-brand and design your own from scratch. The options are endless. 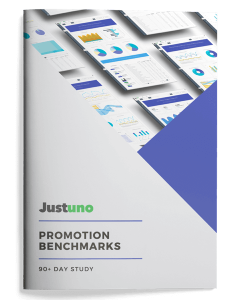 Use our fully designed pre-built promotions to inspire your design, while still maintaining the flexibility to stay on-brand. Sync your marketing technologies directly in the design canvas and choose from a wide variety of one-click integrations. Choose from over 15 different animation options to add life to your designs and create eye-catching promotions. 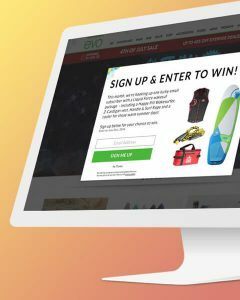 Create visually-powerful, yet elegant pop-up designs that entice visitors and deliver branded experiences. Beyond strategy, well-crafted promotions and designs are what take a site to the next level, drive revenue, and ultimately convert leads. The design canvas is where it all begins. Customize pre-built templates, add a touch of animation, or add bold and intriguing images to create the ultimate on-site experiences. 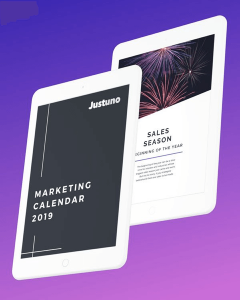 Justuno adds pre-built templates for each holiday season so you’re always prepared. Use one of these templates to create a site banner with a countdown timer for shipping deadlines and a festive animation. Or create a welcome pop-up in the shape of your best selling product. Our pop-up design canvas can accommodate all of your design ideas from custom images to animated graphics and beyond! 25+ templates with infinite customization possibilities. Just one of many tools. 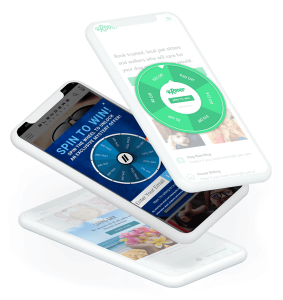 Discover how our pop-up Design Canvas coordinates with our additional features to deliver the ultimate visitor conversion suite. Don’t stop now! Check out all of the amazing lead capture and website messaging types you can create with the products below. Find inspiration and adhere to pop-up design best practices with helpful tips from our e-books and guides.